This is a recipe by Rachael Ray’s 30 Minute Meals. 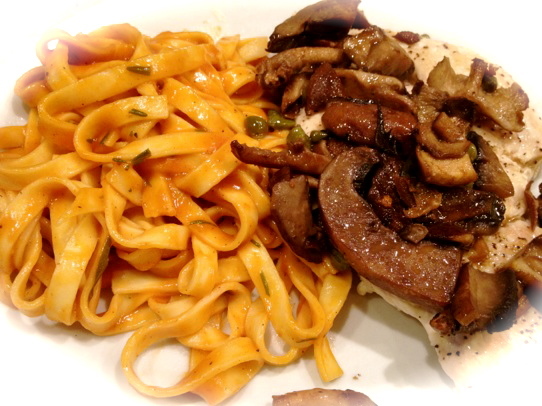 It is a twist on the traditional Chicken Marsala and it is delicious!! Put a large pot of water on to boil for the pasta. When it comes up to a boil, salt the water, drop in the pasta, and cook to al dente. While the pasta is working, season the chicken with salt and pepper. 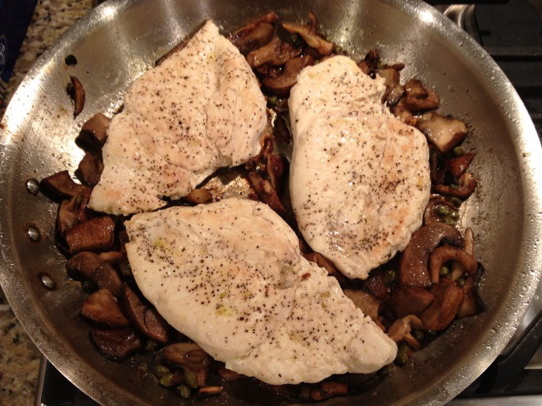 Heat a large nonstick skillet with 2 tablespoons olive oil, 2 turns of the pan, over medium to medium-high heat. Add the chicken to the pan and brown lightly on both sides; remove to a platter and cover with foil to hold in heat. To the same skillet, add 2 tablespoons more extra-virgin olive oil and 1 clove garlic. Cook garlic a minute or so, then remove and add the mushrooms. Let the mushrooms brown evenly and become tender, 8 to 10 minutes. While the mushrooms work, start gravy for pasta. In a deep medium skillet melt 2 tablespoons butter over medium heat. Add a clove of crushed garlic and cook a couple of minutes then remove. Whisk flour into garlic infused butter. Cook the flour a minute or 2 then whisk in the stock. 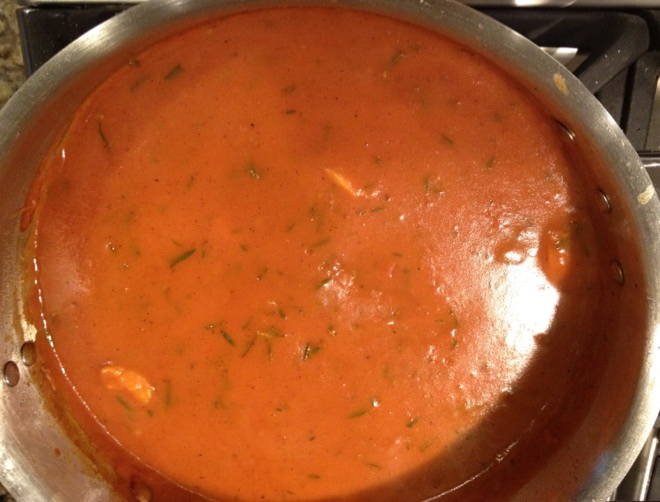 Add rosemary and whisk in tomato paste and Worcestershire Sauce. Simmer to thicken, 5 minutes. Season the sauce with salt and pepper, to your taste. To the cooked mushrooms, add capers and Marsala and reduce a minute or so. Add 2 tablespoons butter in small bits to finish sauce and shake the pan to incorporate. Slide the chicken back into sauce and warm. Drain pasta and toss with sauce and a handful of cheese. Serve pasta alongside Chicken Marvalasala. Scatter arugula or spinach across both the chicken and pasta, to garnish. This recipe is perfect for a cool fall night. ENJOY!